Sample 18" x 18" @ $8.13 (Includes Postage) and is typically mailed within 2 business days. 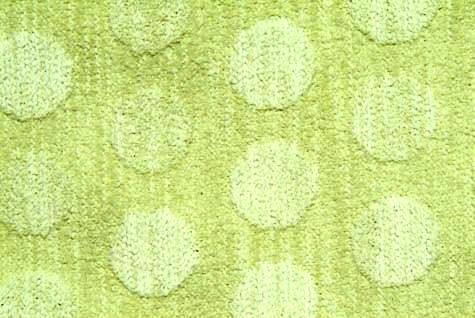 Lido Celery is a woven, textured velvet with a soft, drapable hand and a circle design that measures approximately one inch in diameter. Lido in cool Celery Green, is suitable for drapery, curtains, cornice boards, pillows, cushions, bedding, headboards and furniture upholstery.